I am one of those people, that when I find a recipe I really love for something, I rarely stray from it. I have a lasagna that I absolutely love…so why would I stray from it? However, I bought a new cook book and this recipe for pulled pork really caught my eye. 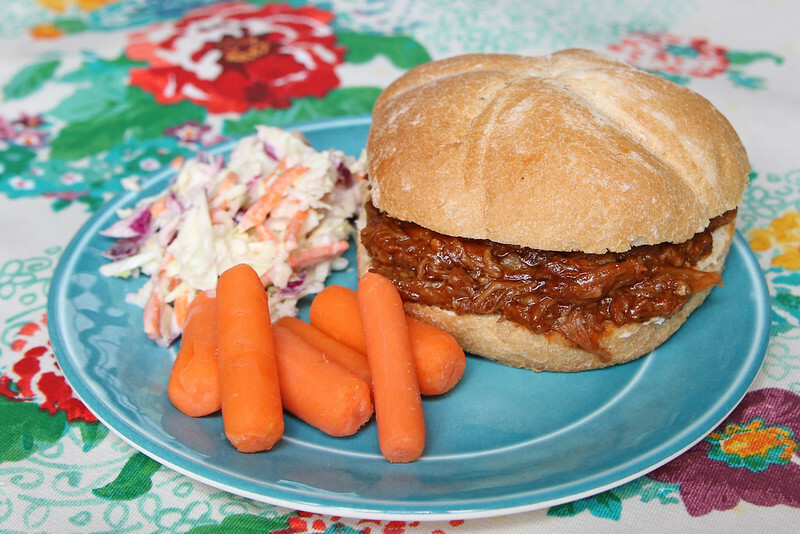 I have a root beer pulled pork that I adore…but I decided to take a chance with a new recipe, I tweaked it a bit from the original, and I’m glad I did! Clean any excess fat off pork roast, I used a pork shoulder roast and it was very fatty and marbled throughout, I would go for a more lean cut next time. Mix all the dry rub together in a pie plate and place roast in rub. Rotate roast and rub all surfaces until covered. Wrap with cling wrap and marinate in fridge for up to 24 hours. When ready to cook, unwrap pork and place in slow cooker. Place onions on/around pork and add garlic and ½ cup pop (I used Dr. Pepper) and pour over roast. Place lid on slow cooker and cook on low for 6-8 hours, I don’t recommend to cook on high. When roast is cooked, remove the roast, use slotted spoon to save the onions if desired, and drain all liquid, unless you want a bit of ‘kick’ to the sauce, in which you should reserve ¼ cup of juices. 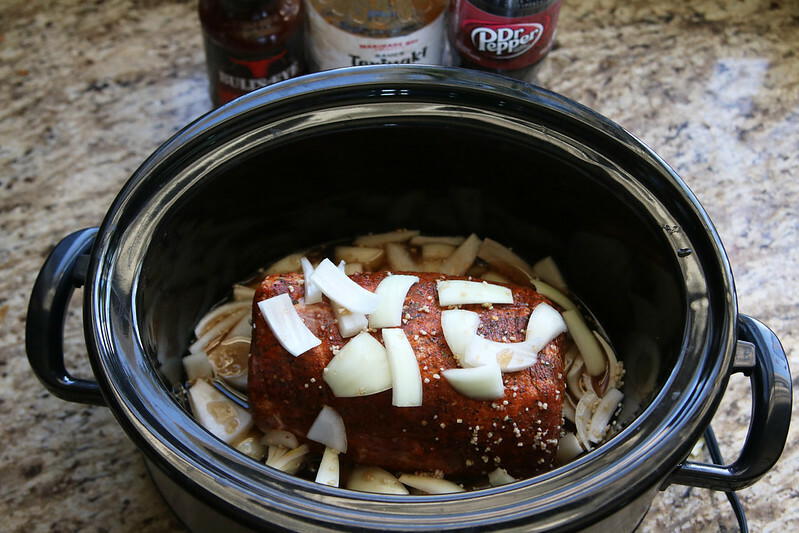 Pull pork to desired size and place back into slow cooker. Mix the teriyaki, ¼ cup of pop and 1 cup of BBQ sauce (I used Bull’s Eye original) and pour over meat. Mix, cover and heat through on high until you need to serve. Serve on a bun of your choice, open-faced or closed. With out without coleslaw…you get the drift! Trim any excess fat off pork roast. Mix all the dry rub together in a pie plate and place roast in rub. Rotate roast and rub all surfaces until covered. Wrap with cling wrap and marinate in fridge for up to 24 hours. When ready to cook, unwrap pork and place in slow cooker. 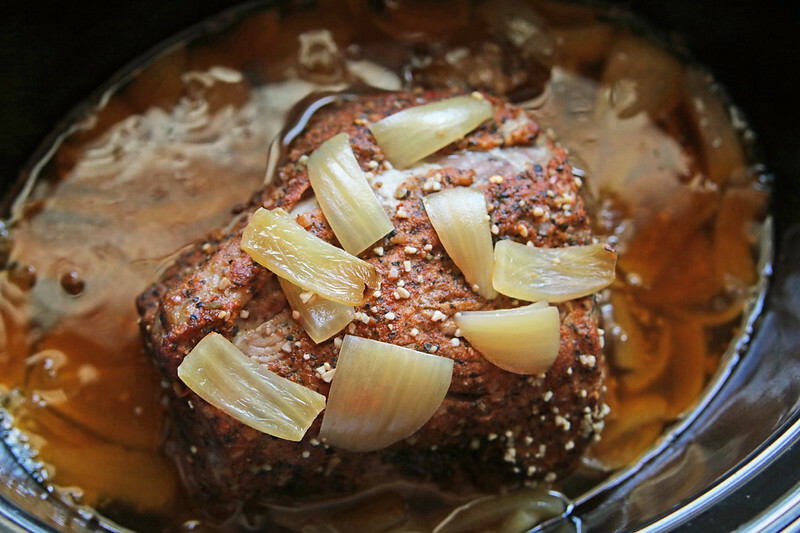 Place onions on/around pork and add garlic and ½ cup pop (I used Dr. Pepper) and pour over roast. Place lid on slow cooker and cook on low for 6-8 hours, I don't recommend to cook on high. When roast is cooked, remove the roast, use slotted spoon to save the onions if desired, and drain all liquid, unless you want a bit of 'kick' to the sauce, in which you should reserve ¼ cup of juices. 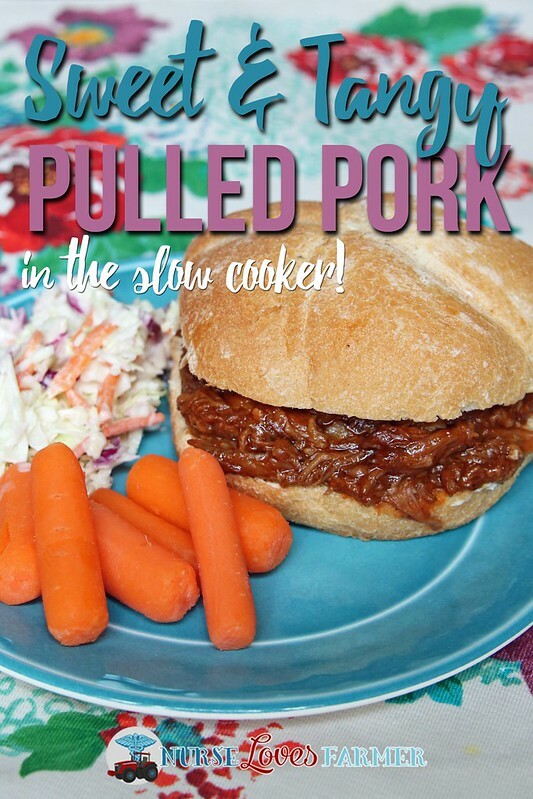 Pull pork to desired size and place back into slow cooker. Mix the teriyaki, ¼ cup of pop and 1 cup of BBQ sauce (I used Bull's Eye original) and pour over meat. Mix, cover and heat through on high until you need to serve. Serve on a bun of your choice, open-faced or closed. With out without coleslaw...you get the drift! Note: This recipe is adapted from the UFA Meals in the Field cookbook. I served with a coleslaw and raw carrots to make it a super, super simple meal. I’m glad that I didn’t reserve any of the cooking juices as it definitely had enough “kick” for my taste buds, and definitely the kids too!